uM. Why has it taken me so long to get my hands on this?? I am OBSESSED. 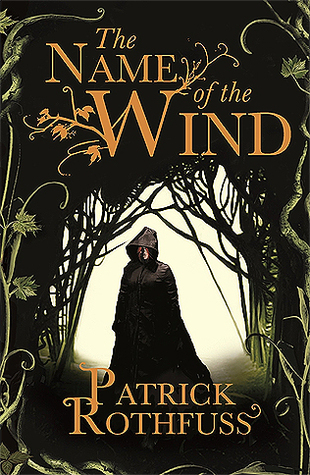 Patrick Rothfuss is officially on my Top Ten Authors List, and this book is officially one of my favourites which I will flail about forever. This book was pure and utter genius and it was absolutely brilliant AND I CAN’T GET ENOUGH OF IT. LET ME GET INTO WHY. AND YET. Even with all these horribly tired tropes, this book managed to be so entirely refreshing, so new, so different. I’ll admit it was a bit dragged in the beginning, and considering it’s more than 600 pages long, I thought I might hate it. But when I actually stuck with the book, it turned out to exceed every expectation of mine. Rothfuss has an incredible writing style which borders on prose and beautiful poetry, and I am L I V I N G for it. His writing quality makes even some of the mediocre scenes seem so much more magical and wondrous. The plot is so compelling and immersive. Rothfuss really pulls you into a detailed world crafted so thoughtfully. He wields his words with such precision, every scene seems to have a purpose in the bigger picture. You start the book thinking it’s a typical plot of a typical fantasy novel, and well tbh, you’re right, the book does have a rather simple plot. Yet somehow, Rothfuss elevates it and makes it so much more poetic, lyrical, and so utterly brilliant. I really enjoyed reading the book from Kvothe’s point of view. He narrates his story of how he became Kvothe the Bloodless, and I loved the time jumps of the past and present. He had a really witty and interesting form of narration, and Kvothe was the perfect narrator for this story. He weaves his stories seamlessly and with such detail that every thing he describes really makes you feel for him. I loved his passion for music, and how much it meant to him. It’s amazing to see a character with so much passion for something like music, and i really enjoyed moments of the book where he talked about that. The secondary characters were also great, and I loved Bast, Devi, and Auri so incredibly much, because they were so different from your typical secondary characters, and there is still so much left to explore in the both of them. The ending left me with so many unanswered questions and I wasn’t even mad about it. I picked up the next book immediately from my english teacher, and it is a whopping 1000 pages??? WHY, WHAT HAPPENS IN IT I MUST KNOW. I NEED ANSWERS. Except that I’ve just gone for vacation to the US and I left the book back home and i am extremely annoyed i will be deprived of my answers for two entire weeks. The only thing I didn’t enjoy about this book was the romance. I found Denna really two dimensional, inserted-for-the-sake-of-a-love-interest, and just mind numbingly boring. She just seemed like this really unattainable thing and just wasn’t developed enough to be a strong character in any way or form. You all know how I feel about stupid love scenes, and unfortunately, THERE WERE SO MANY. But other than her, there wasn’t anything I didn’t like, and I can safely say that everything else about this book more than makes up for her cardboard-ness. Even with the terrible romance subplot, I am willing to give this book a solid 5, because everything else about it was so beautifully crafted and so intricately woven that it deserves those points. That’s it! Have you read this book? What did you think? Tell me in the comments below!